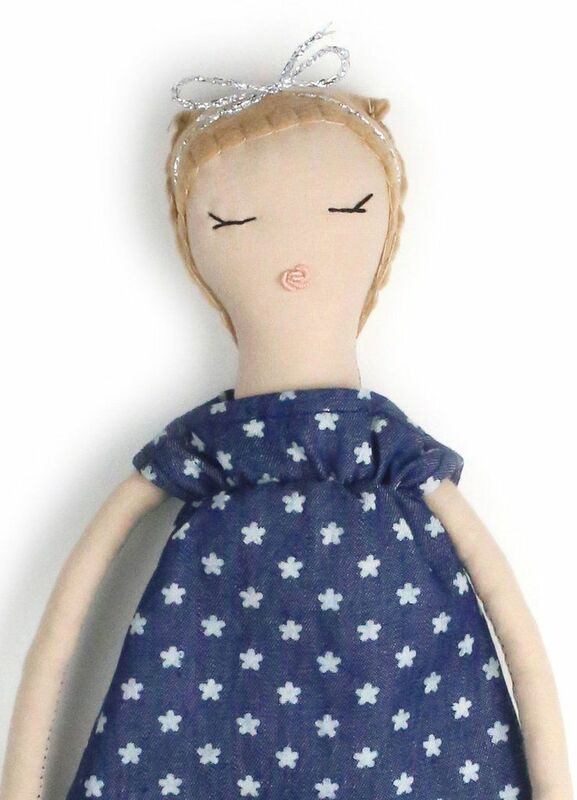 Petite doll Pop wears a classic Dumyé dress in a fun Japanese denim print with a matching silver headband stitched into her chestnut hair. 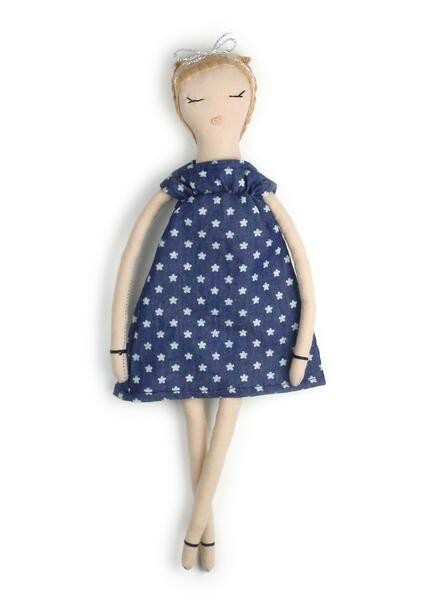 (Body Color: Ivory) She comes with Dumyé's signature Purpose Pocket™ and hand embroidered rosebud mouth. UNICEF estimates there are more than 132 million children orphaned around the world. Many have lost their families to senseless wars, preventable diseases and suffocating poverty. We at Dumyé seek to give less fortunate children a little something to nurture their spirit. For every doll you purchase we gift a doll to an orphan or vulnerable child in need and allow them to make it their own through an art workshop. This process of doll creation gives the children an opportunity to reflect upon themselves, process what they have been through and control at least one piece of their world. So not only do does a special child in your life receive a meaningful gift to laugh with, play with, dream with but an underprivileged child does as well.